As a woman approaches her twilight years, her body will go through many changes - some of which can cause discomfort and even pain. A common affliction is sore joints, which may or may not occur as a consequence of arthritis. To relieve joint pain, many women prefer to use natural products, which can be very effective for bringing quick and lasting relief. These are usually available to buy in alternative health stores, or they can even be made at home using a few simple ingredients. 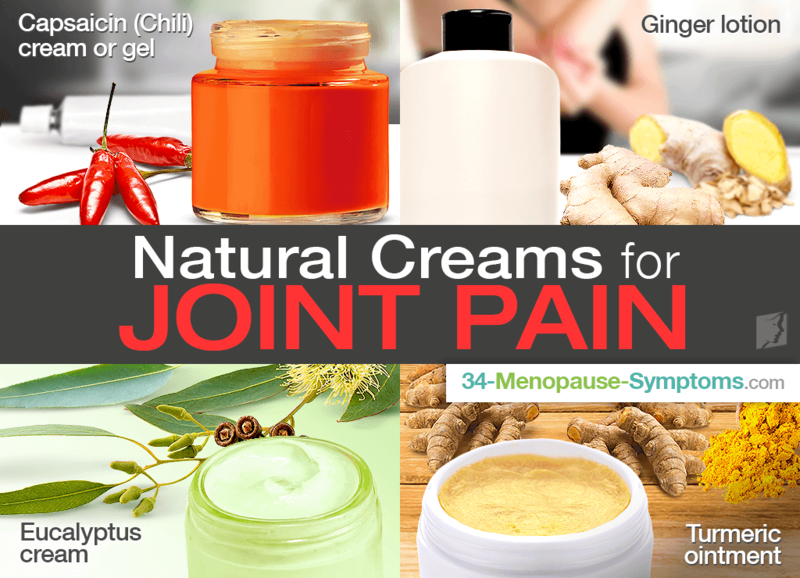 Read on to find out about some of the most successful natural joint pain creams. Many arthritic women find lotions and gels made with capsaicin to be especially adept at relieving joint pain. This substance can be obtained from chili peppers, and is able to manipulate pain messages in the nerves of the body. Not only this, but it acts as an anti-inflammatory and so can reduce swelling and soreness in joints. This treatment creates a warm sensation which soothes pain, but can cause temporary redness. Those with sensitive skin may suffer from itchiness and a rash. Ginger is a popular natural product, known for its numerous health benefits. This household item can be used in arthritis pain relief cream due to its anti-inflammatory properties, which have been likened to those of ibuprofen. It is also able to help stimulate blood circulation, which can be helpful for pain relief. Ginger-based lotion is considered safe for use, unless you suffer with a ginger allergy, or have sensitive skin. Studies have revealed that eucalyptus essential oils possess compounds that have analgesic and anti-inflammatory action, which can be successful in relieving joint pain. There are many creams and gels which contain eucalyptus, or even popular mentholated vapor rub can be hugely effective in providing alleviation of joint pain. It should be liberally massaged onto the affected area as necessary, in a circular motion. Turmeric is a lesser known medicinal herb, but it too offers considerable benefits regarding pain relief, and for addressing inflammation caused by arthritis or other joint problems. It can be harder to find turmeric-based creams and ointments, but some herbalists might stock these. Alternatively it is relatively simple to make a treatment at home. Studies have shown that this ingredient has best results when used regularly, as it is more adept and preventing joint pain than reducing existing pain. Arthritis can be difficult to live with, as can any pain derived from joint problems that occur with age. Knowledge about some natural products can help you when deciding on treatments for this condition, as these are usually inexpensive and safe for generous use.